New versions of the excellent pwdump6 and fgdump have been released (1.6.0 for both!). For those that don’t know what pwdump or gfdump are..
fgdump is a more powerful version of pwdump6. pwdump tends to hang and such when antivirus is present, so fgdump takes care of that by shutting down and later restarting a number of AV programs. It also can dump cached credentials and protected storage items, and can be run in a multithreaded fashion very easily. I strongly recommend using fgdump over pwdump6, especially given that fgdump uses pwdump6 under the hood! You’ll get everything pwdump6 gives you and a lot more. Darknet definately DOES recommend fgdump, super cool update of the old favourite pwdump. The primary change in both packages for version 1.6.0 is that they will once again, for the time being, sneak by antivirus more easily. This is strictly to allow the majority of the userbase, who are legitimate pen-testing users, to carry out their work unfettered. A while back Microsoft UK got hacked by some Saudi Hackers, Microsoft is always one of the top targets for renegades and ‘cyber-terrorists’ as the high profile nature of the company can give some publicity to their causes. This was less than a month after Technet got owned. I don’t think they are ever going to lay off MS.
Saudi hackers manged to deface a page on Microsoft’s UK web site last week, recording the techniques they used in an online video. The software giant’s sites are periodically hit by acts of digital graffiti. In this case, however, the defacement gang unusually decided to document its attack. 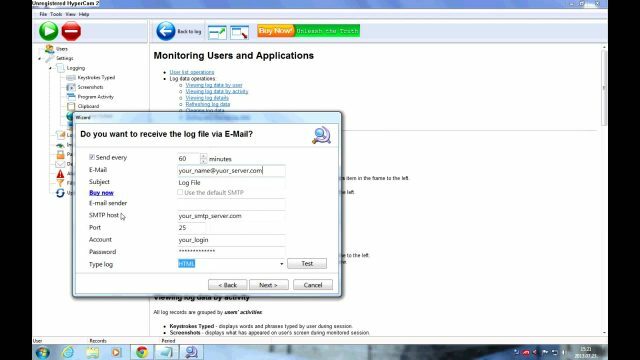 A video illustrating SQL Injection flaws affecting www.microsoft.co.uk, used to insert extra HTML code that formed the basis of the attack, was posted online. Details of how this might be done would be useful fodder for hackers so it shouldn’t come as any particular surprise to learn that the video (posted on unbase.com) was pulled over the weekend. I’d say the site is still pretty insecure and is likely to get owned again. According to Zone-h, microsoft.co.uk’s externally hosted website remains potentially vulnerable to Cross Site Scripting and SQL injection attacks. It bases this conclusion on debug errors generated by scripts on the site. You can see details of the defacement and the result at Zone-H here. The Refog Free Keylogger, KGB Keylogger is a decent light weight Key Logger for Windows which has a stealth mode, logs the clipboard and much more. The Refog Free KGB Key logger is a multi-functional keyboard tracking software that is widely used by both regular users and IT security specialists for tracking the key strokes typed on a given machine. There are also much more advanced RAT type tools which include Keylogging capabilites such as Stitch – Python Remote Administration Tool AKA RAT. KGB Keylogger is priced reasonably at the current discount rate of $42USD, you can read more here or buy it now here. You can purchase it securely online with a PayPal, Credit Card, Bank/Wire Transfer, Phone, Fax, Mail/Check and Corporate Purchase orders. Teredo is a platform-independent protocol developed by Microsoft, which is enabled by default in Windows Vista. Teredo provides a way for nodes located behind an IPv4 NAT to connect to IPv6 nodes on the Internet. However, by tunneling IPv6 traffic over IPv4 UDP through the NAT and directly to the end node, Teredo raises some security concerns. Primary concerns include bypassing security controls, reducing defense in depth, and allowing unsolicited traffic. Additional security concerns associated with the use of Teredo include the capability of remote nodes to open the NAT for themselves, benefits to worms, ways to deny Teredo service, and the difficulty in finding all Teredo traffic to inspect. We have completed an analysis of the Teredo protocol based on a reading of the RFC (and apart from any implementation). In this section, we highlight some of the more significant security implications of the protocol; that is, ways in which Teredo positively or negatively impacts the IPv4 and IPv6 portions of the Internet.